Time for a more absorbing gaming experience on the big screen! 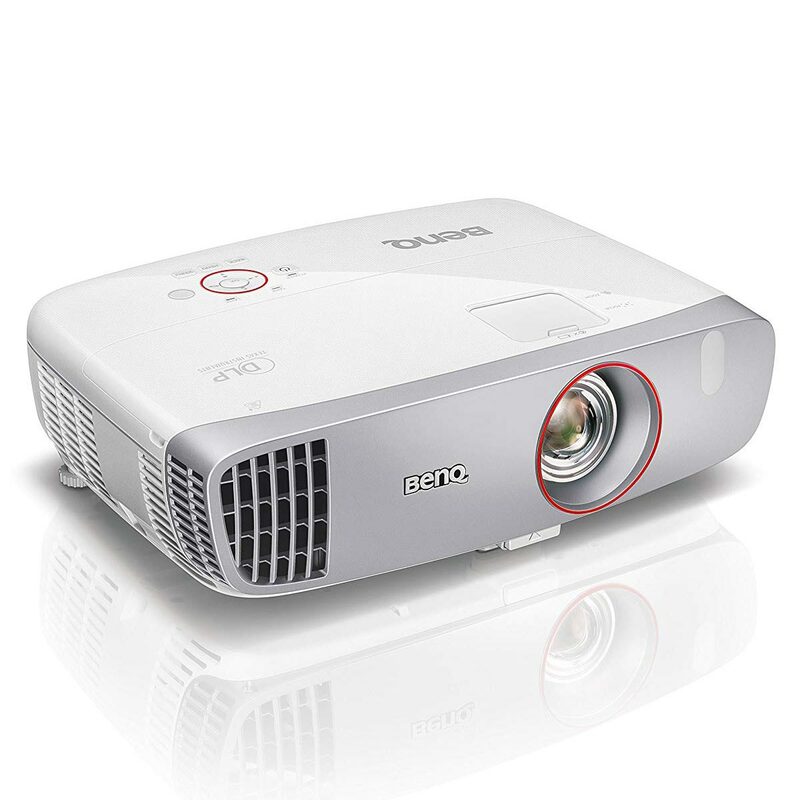 Experience an immersive gaming experience with a larger-than-life screen to fill your field of view with BenQ W1210ST, the home entertainment projector designed for video gaming. With outstanding colours, low input lag, customized game modes, built-in speakers and easy installation, W1210ST expands your gaming world and makes you feel like you're really IN the game! Bringing out optimal colours for accurate and enhanced images, CinematicColour™ technology delivers Rec.709 HDTV colour coverage, 6X speed RGBRGB colour wheel, and high native ANSI contrast ratio to ensure incredible image performance with detailed, sharp, and crisp visuals for your home cinema enjoyment. Rec.709 is the international HDTV standard that depicts the colours the director intended. 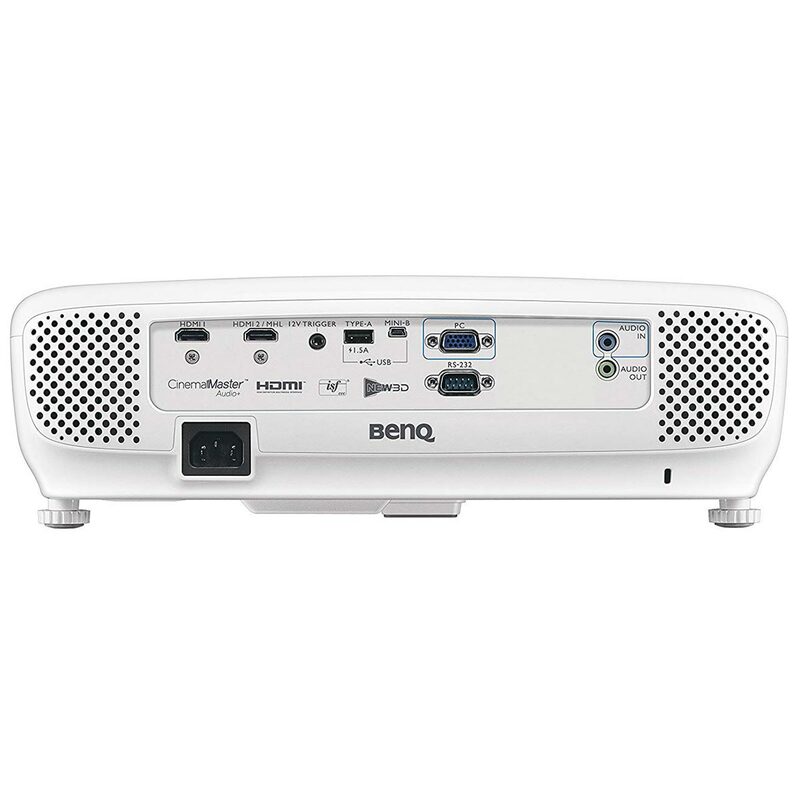 BenQ W1210ST enables over 96% coverage to Rec.709 for authentic colour accuracy to deliver refined colours of truest reproduction. Of all DLP projector components, the colour wheel has the greatest effect on colour. Achieving perfect balance between colour accuracy and brightness requires high precision and stringent quality control. Because even nanometre differences create great differences to colour spectrum, BenQ CinematicColour™ uses precise nanometre-level references to test over 20 combinations of colour wheel angle and coating. Each colour wheel is carefully fabricated with high-pure-colour coatings to meet Rec. 709 colour gamut requirements and reproduce the true colour of Hollywood films. 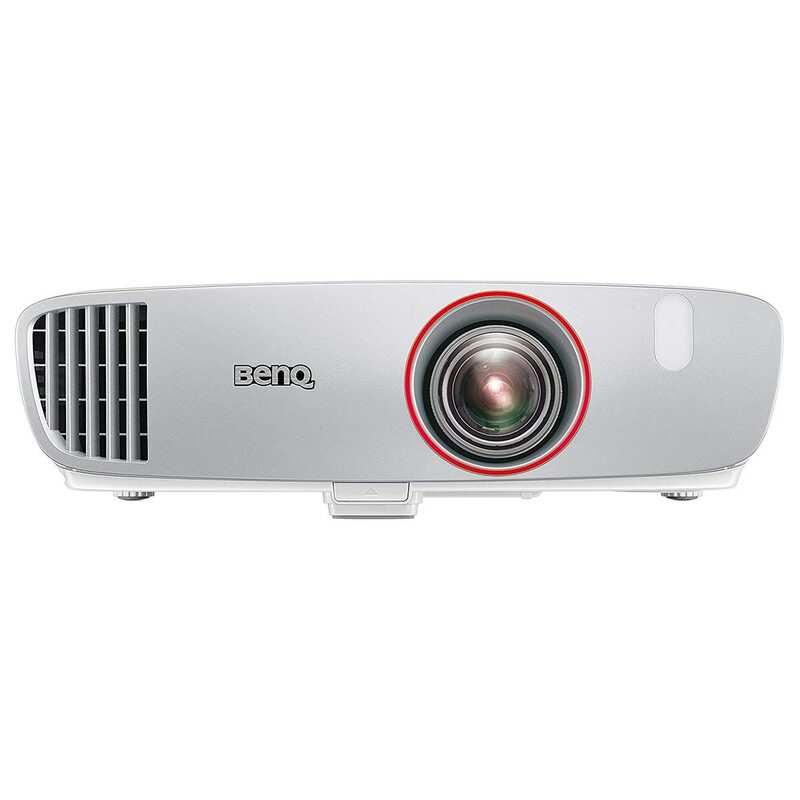 With the Imaging Science Foundation's highly reputed ISFccc® Certified Visual Calibration built-in, the image and colour performance can be customized for any space, along with preset light balance modes for day and night. 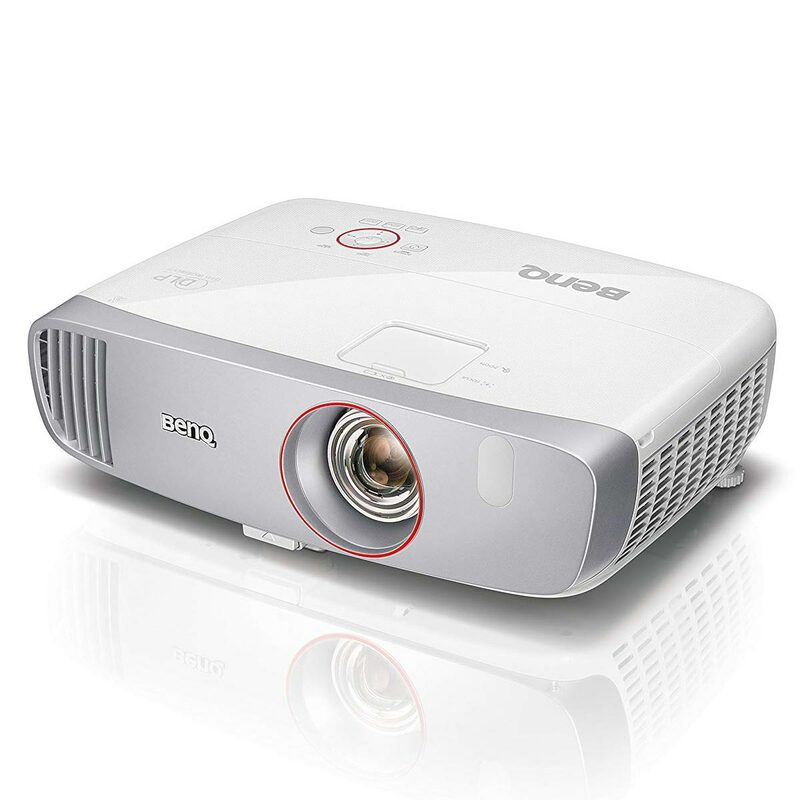 Video response is the most crucial criteria for gamers, and W1210ST is the world's first gaming projector with 16.67ms low input lag. Experience the breathtaking thrill of racing games and swiftly react in sports games without delay. W1210ST also boasts microsecond DMD pixel response time to avoid unwanted motion blur, so gamers can wave goodbye to insufferable lag and say hello to full gaming enjoyment with our advanced low input lag technology. Whether you're playing on Xbox One, PS4™ or Wii U™, you'll be blown away by the complete control of fast response, especially noticeable in timing-critical games like racing, where precise acceleration and braking inputs put you in the lead. BenQ fast response can even make the difference in making a last-second shot to win the game, putting you into intense heart-pounding action instead of merely playing a game. win the game, putting you into intense heart-pounding action instead of merely playing a game. W1210ST's advanced DLP technology and embedded Digital Micromirror Device (DMD) takes only microseconds to swiftly change the angles of the mirrors on the chip. The image reflection time is 1000 times faster than 3LCD projectors which require liquid crystals to allow light to pass through. With W1210ST's state-of-the-art display technology, gamers can enjoy ultra-smooth gaming on an enormous screen with unprecedented precision. 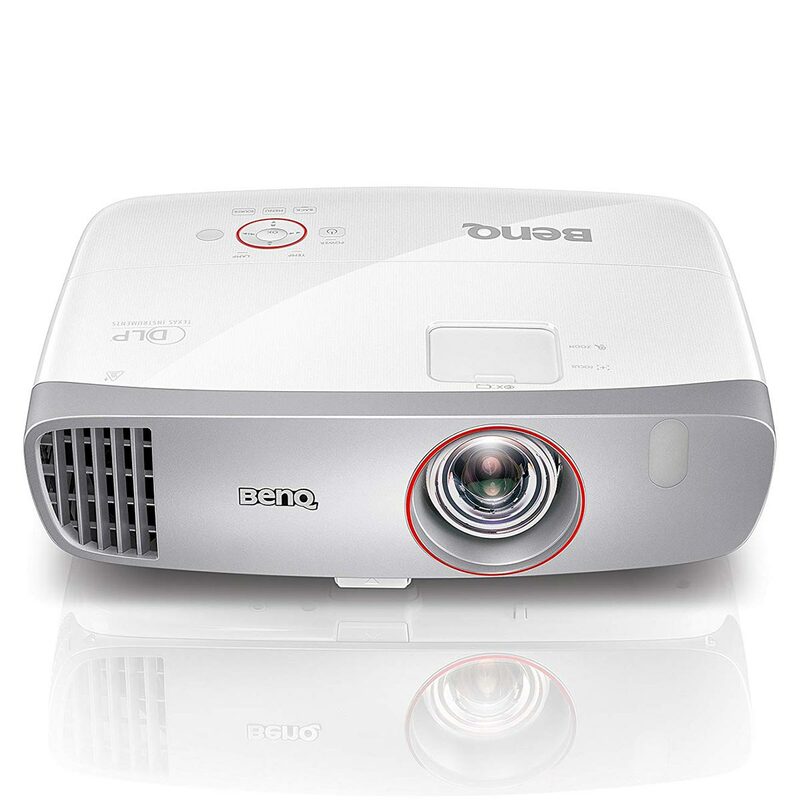 The DLP chipset comprises an array of highly reflective aluminium micromirrors swiftly tilting back and forth to change the angles of light reflection to produce images 1000 times faster than 3LCD technology. Resonant chambers house 20-watt stereo speakers precision tuned by BenQ sound engineers to maximize deep bass and soaring highs – all without wires. Four preset sound modes and an equalizer setting match the music and soundtrack of your choice to immerse you in total entertainment. BenQ's unique colour management tool allows you to fine-tune the gain, saturation and hue of six primary colours (R/G/B/C/M/Y) individually. Now you can customize your colours to mimic nature, simulate faraway galaxies, and everything in between. Maximize big-screen thrills in minimum space with short-throw BenQ W1210ST that require as little as 1.5m to project stunning 100" pictures. 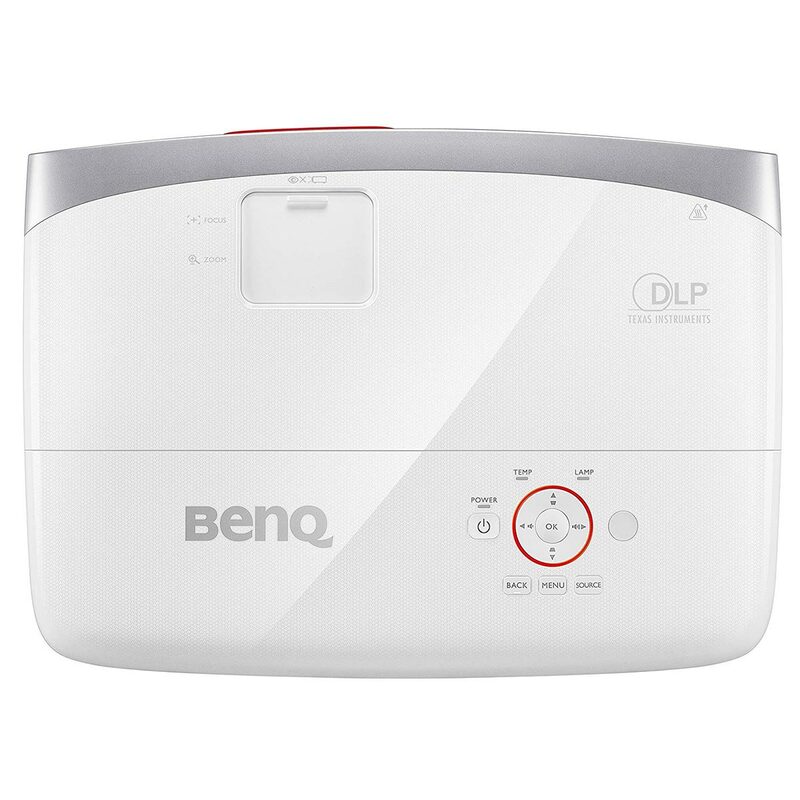 BenQ Wireless Full HD Kit covers up to 100'* with four powerful antennas for crystal clear streaming, even through walls. Pairing with the projector via one-time setup and staying paired, the wireless kit's zero latency delivers smooth video and gaming with virtually no lag, and dynamic frequency selection switches channels to ensure crisp, sharp streaming. Clear Image Size (Diagonal) 60" ~ 120"
Offset is calculated by full-screen height.